It’s an endless debate, and a matter of great pride in both cities. Which of the world’s two most financialised, globalisiation-cheering megacities can reasonably be described as the world’s capital? One hundred and fifty years ago, the answer was indisputably London. Fifty years ago, the answer was indisputably New York. Now? Well it’s not so clear. 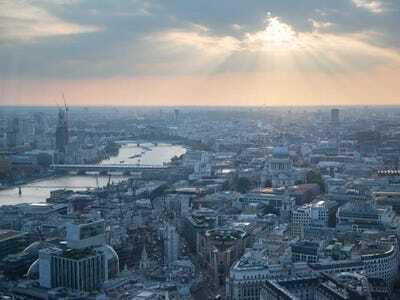 Here’s Business Insider UK’s best case that it’s London, not New York, that deserves the crown. In terms of stock exchanges, calling London the world’s financial capital looks ludicrous. The London Stock Exchange isn’t even the second-largest stock exchange in the world after the New York Stock Exchange. It’s the fourth (after the NASDAQ and Tokyo). But this is totally unfair to London: the volume of equities trading done on the London Stock Exchange doesn’t capture at all equities trading done in any one place, just the ones local to that economy. So of course London’s stock exchange is smaller than New York’s: the UK’s economy is much smaller than the US’s. But we’re comparing the cities here, not the countries. So it’s good to look at a more international measure of finance: currency markets. In terms of foreign exchange market turnover, the UK isn’t just the leader, it’s still gaining ground, according to the Bank of International Settlements. In 1998, 32.6% of the world’s forex trading was done in the UK (almost all of which takes place in London), against 18.3% in the US. By 2013, the UK had grown to make up 40.9% of the global market, seeing a daily average of $US2.73 trillion in turnover. Every day. When the Boston Consulting Group polled more than 200,000 people in 189 countries, London trounced the rest of the world when it came to where they would move to work. Unprompted, 16% of respondents said they’d move to the city, well clear of New York’s 12.2%. What’s more, the eurozone’s dismal growth prospects and eye-watering youth unemployment rates mean this trend likely isn’t going to slow any time soon. There have been major increases in the number of people moving to the UK from the rest of Europe. In 2007-08, 15,400 Italians registered to work in the UK, a figure that was up to 44,110 by 2013. Europe’s young workforce is increasingly migrating to the UK (where they don’t need visas to live and work), and a huge number find their way to London. One of the most well-educated generations in history is streaming to London to live and work, and that’s an enormous benefit to the city. London reigns at the top of Knight Frank’s global wealth report in 2014. Endless anecdotes in the reports show exactly where the world’s wealthiest people want to own homes, and the British capital comes out ahead of New York. The cost of buying and renting is something that makes Londoners want to weep: but it’s a side effect of the city’s incredible success. In 2012-13, 49% of buyers in London’s prime central market were not British, illustrating the huge demand from abroad. And they’re not just buying to hold property as an investment: only 28% of buyers live outside the UK, showing that a huge number of international buyers want to live in the city. London-based media organisations dramatically outperform in Comscore’s English-language ratings. The two biggest English-language newspaper websites in the world are London-based British organisations. The Daily Mail’s “Mail Online” and The Guardian’s website have broken into first and second place, according to ComScore’s traffic figures. That’s even accounting for the fact that New-York-based newspapers have a far bigger native American audience than London-based newspapers can find in the UK. 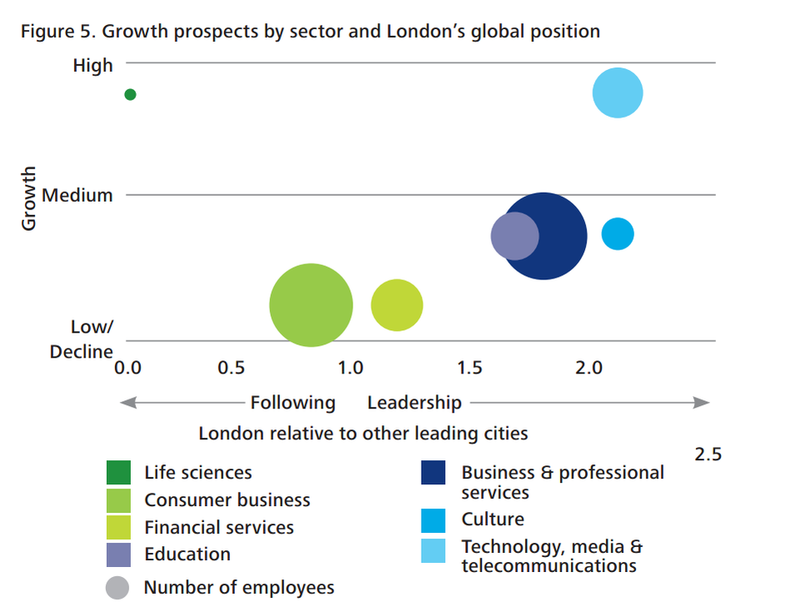 A Deloitte survey puts London not only as the world’s leader of highly skilled workers in media (particularly digital media), but as one of the areas where it’s extending a lead over the others. Check out the chart above. The report suggests that although US cities take the lead in terms of film and TV, the London is way out ahead in terms of digital media. According to Japan’s Institute for Urban Strategies, London takes a commanding lead over New York on cultural grounds (along with every other major city). That’s based on a blend of how trend-setting the city is, cultural resources, and facilities for visitors. 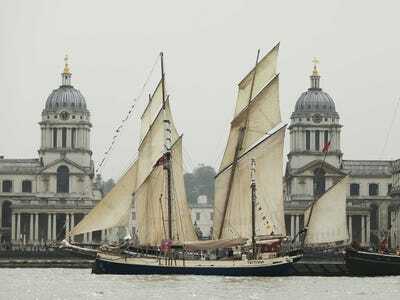 REUTERS/Suzanne PlunkettThe Tall Ship Tectona, built in India in 1929, is moored outside the Old Royal Naval College at Greenwich, the location of one of London’s UNESCO world heritage sites. Part of this is down to a history that New York simply can’t match: in the 19thcentury, it became only the second city since the fall of the Roman empire to reach a population of over one million. Attractions like Westminster Hall (the great hall of the UK’s parliament) are almost twice as old as European colonization in the Americas, and four times older than the USA as a country. London has four UN world heritage sites, against New York’s one. So sorry, New York. Sorry Seoul, sorry Paris, sorry Shanghai, sorry Singapore, Sorry Hong Kong. For now, London is the world’s global capital.